What a great cover. I don't know the artist, but I love the expression on this guy's face. I may have to add an Injury to a Quirley category. 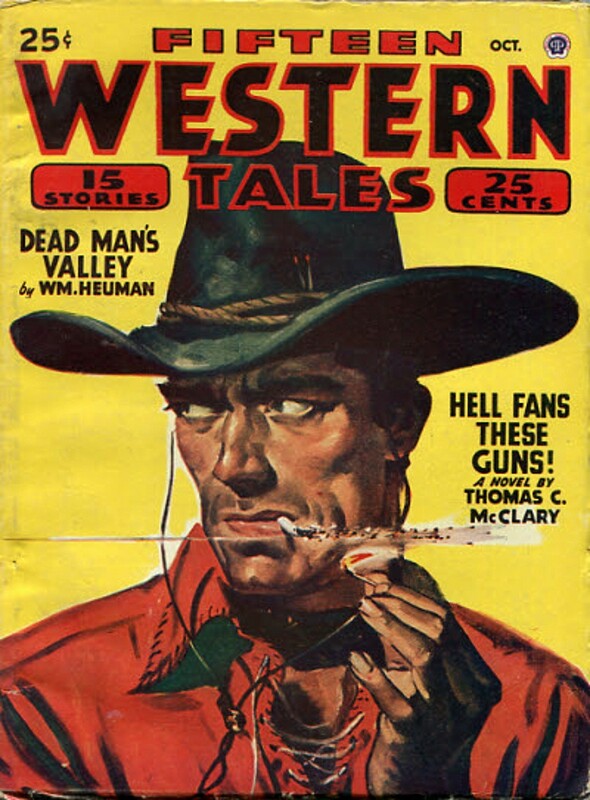 And the line-up of authors inside this issue of FIFTEEN WESTERN TALES is top-notch, too: William Heuman, D.B. Newton, Joseph Chadwick, Leslie Ernenwein, Rolland Lynch, T.C. McClarey, Kenneth Fowler, and some lesser-known names and house-names. I love the title "Hell Fans These Guns!". That is indeed a great cover!